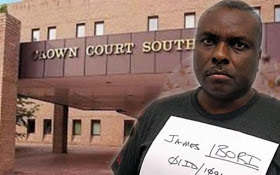 A former Delta State Governor, James Ibori, who was jailed in Britain for laundering. The Court of Appeals ruling against James Ibori, is a relief for the British authorities at a time when they are trying to stop the flow of dirty money from overseas through London. Ibori, who is one of Nigeria's richest and most powerful men, pleaded guilty in a London court in 2012 to 10 counts of fraud and money-laundering involving at least 50 million pounds ($ 66 million). He received a 13-year jail sentence of which he served as common in the British system, and is now back in Nigeria. Wednesday's ruling will allow Britain to make its efforts to confiscate millions of dollars worth of assets and return them to Nigerian public coffers. The assets have been frozen for years while the case has been dragging through the courts. Good news to Nigerian!